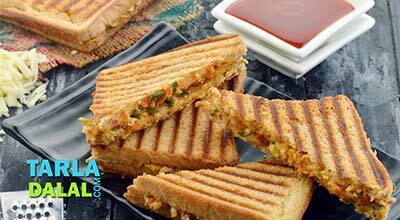 Panini is a sumptuous sandwich made with breads like baguette, ciabatta or michetta. 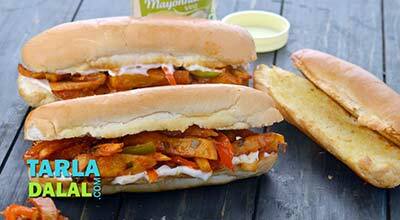 If you can’t lay your hands on any of these, use hot dog rolls instead, but never use common sliced bread for making Panini. 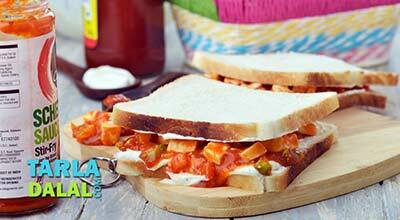 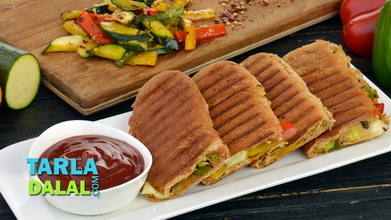 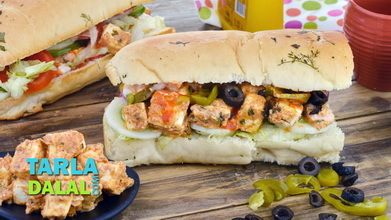 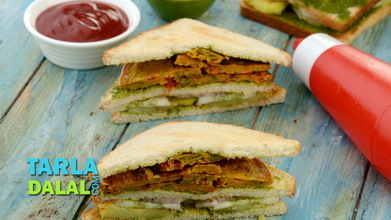 Cream Cheese Veg Panini is a variant that is sure to pamper your palate! 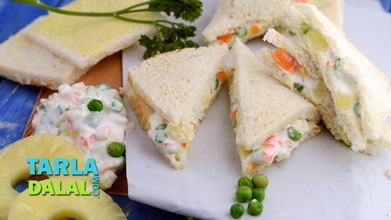 The bread is cut horizontally and packed with cream cheese, an assortment of yummy veggies and aromatic herbs. 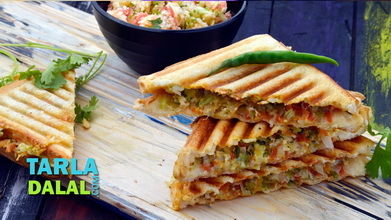 This gives the Panini a totally irresistible taste and amazing mouth-feel that is both creamy and crunchy. 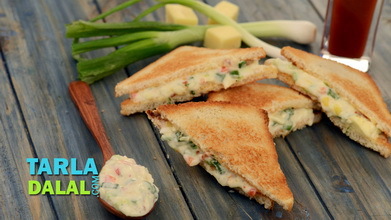 This Cream Cheese Veg Panini is sure to appeal to everybody as it combines the best of veggies and cheese. 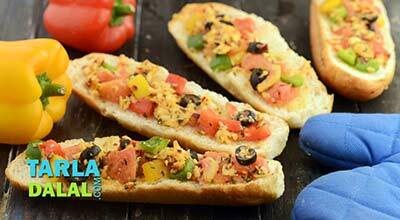 Serve this immediately after preparation to enjoy the fresh and vibrant textures.